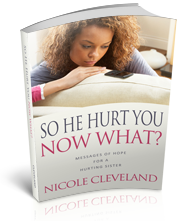 Did you miss the virtual release of “So He Cheated, Now What?” by Nicole Cleveland? 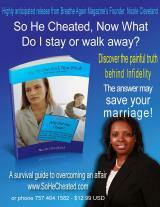 A guide to overcoming an affair in your marriage. On Saturday we celebrated the official launch. Technology is amazing. Due to the winter storm in Hampton Roads, our in person book release and signing was cancelled.Everything was shut down in the area, including our site host, the Norfolk Public Library. That didn’t stop us,we still decided to officially launch the book on Saturday, as planned. We just did it virtually. Click below to listen to the celebration. My Gift To You — Happy Birthday to Me!